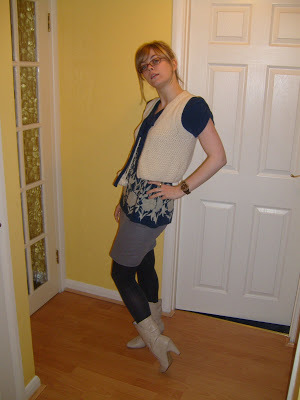 So since I’m not reporting on LFW at the moment, I thought I’d do a little outfit post to entertain. Was feeling rushed this morning which is why I look a little mumbo jumbo! Plus I have my specs on which makes me look like a secretary rather than remotely intelligent. Useless.